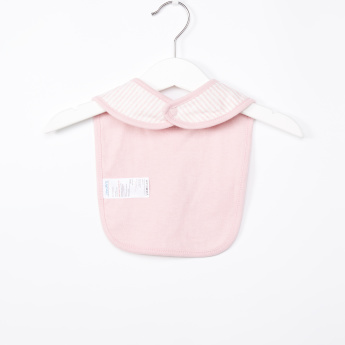 Protect your baby’s clothes from ugly stains with the help of this bib. 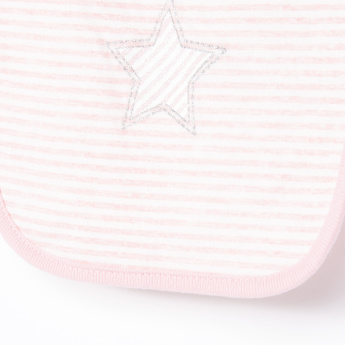 Featuring intricate stripe pattern along with a lovely star print, this bib looks quite fetching. 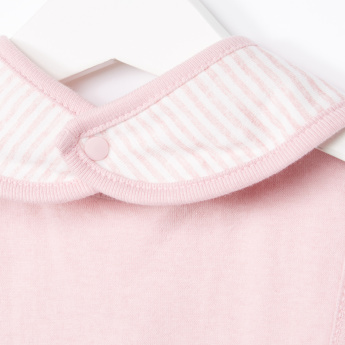 The snap button closure at the back offers easy dressing.